I came in on the tail end of it, but early ’70s DC (as covered in Comic Book Artist vol. 1, #5) was my golden age of comics. Following the lead of my friend Alan, my favourites became Wrightson, Heath, and Glanzman, but most of all Kirby. My journey began with Kamandi, Ahab and Inspector Zeel ([D. Bruce] Berry inks) [Kamandi #21-23, cover-dated Sept. to Nov. 1974, respectively]. Through the magic of back issues, it gained impact and intensity as it wended its way through the incredible Royer issues of Kamandi, and an occasional Demon, to “Himon”, “The Pact” and “The Death Wish of Terrible Turpin.” This was, as Norris puts it in his Kirby Kinetics blog, The Peak. 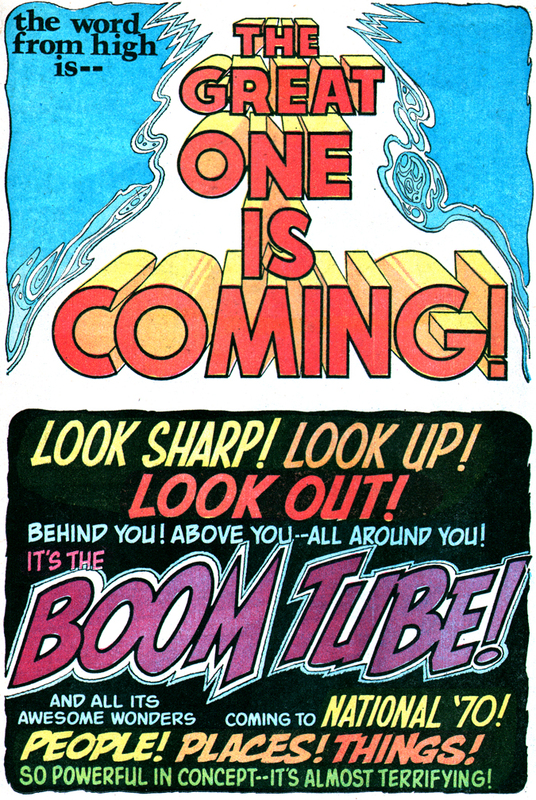 Pingback: Romita Is Coming, But Was Kirby Already There?